Woking Football Club is very pleased to announce that Jake Caprice has signed for the forthcoming season. Jake signed for the Cards last summer, having previously been at Lincoln City, and made just under 50 appearances for Woking last season. 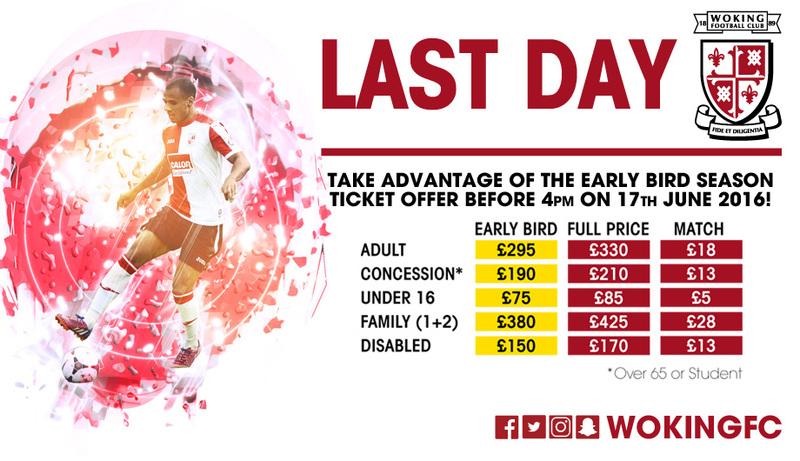 There’s still time to save big on your 2016/17 Season Ticket, with just 10 days to go of the Early Bird offer, don’t miss out!